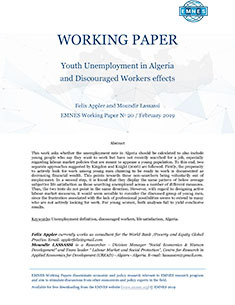 This work asks whether the unemployment rate in Algeria should be calculated to also include young people who say they want to work but have not recently searched for a job, especially regarding labour market policies that are meant to appease a young population. To this end, two separate approaches suggested by Kingdon and Knight (2006) are followed. Firstly, the propensity to actively look for work among young men claiming to be ready to work is documented as decreasing financial wealth. This points towards these non-searchers being voluntarily out of employment. 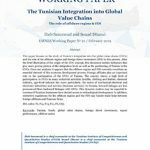 In a second step, it is found that they display the same pattern of below average subjective life satisfaction as those searching unemployed across a number of different measures. Thus, the two tests do not point in the same direction. 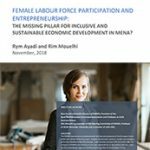 However, with regard to designing active labour market measures, it would seem sensible to consider the discussed group of young men, since the frustration associated with the lack of professional possibilities seems to extend to many who are not actively looking for work. For young women, both analyses fail to yield conclusive results.